Hi everyone, was really busy for the past few weeks, didn't really have the chance to update my blog. Anyways, just wanted to blog about this Shampoo i recently i used, and it really helped my damaged color hair.. 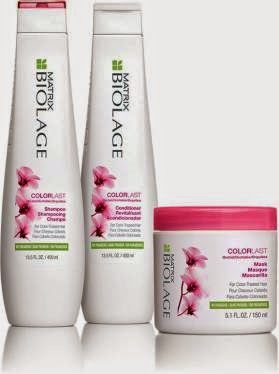 The COLORLAST haircare series by Matrix Biolage is inspired by the anti-fade properties of the vibrrant orchid. The products are made using state of art fomulas which are inspired by nature, & they help to protect your hair, balance moisture & even out the hair's surface for saturated, shiny, vibrant color that stays truer. With COLORLAST, you can have color vibrancy even after 9 weeks. 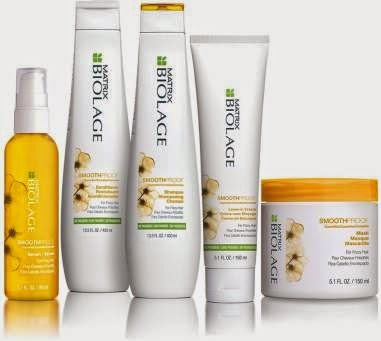 In 2014, after 23 years of extensive research, the Matrix Biolage R&D team developed a new technology entitled BIOMATCH allowing BIOLAGE to unlock the secret code of nature. The team studied how nature has found the most efficient way to flourish and overcome all tough conditions on the planet, and now Matrix Biolage uses this science to innovate and develop products that address every day hair concerns. To celebrate the launch, Matrix invited members of the media, and some of its key trade partners for the launch including; Mr. Gan from Hairizon, Mr James Wong from Labell, Mr Lau from Beautility, Mr. Alan & Eddie from BMA, Mr. Lee from Uni Beauty, Ms. Sim from Grand Hair Beauty and Mr. Kelvin Teo from Hair Perfect. Representing Matrix were Mr. Heng Thang Yih, General Manager of Professional Products Division, Mr. Roy Kow, Matrix Brand Manager, and Mr. David Hwi, Assistant Product Manager, Marketing. 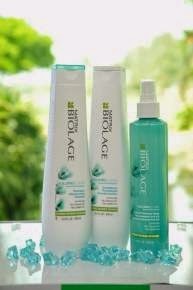 COLORLAST by Biolage has really helped my damaged hair to feel and look more softer ! COLORLAST is inspired by the anti-fade properties of the vibrant orchid. 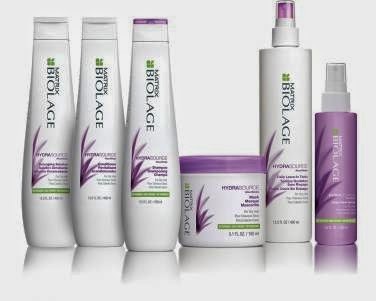 The products are made using state of art formulas which are inspired by nature, and they help to protect your hair, balance moisture and even out the hair’s surface for saturated, shiny, vibrant color that stays truer. With ColorLast, you can have color vibrancy even after 9 weeks. Embodying the ColorLast range is the Debbie Goh, who is the Miss Malaysia Chinese International 1998 and an award winning actress who recently starred in the movie “Bullets over Petaling Street”. HYDRASOURCE is inspired by the moisture retaining properties of the Aloe Plant. Your hair’s hydration levels are optimized through the absorption and retention of moisture. With this technology, hair is 15X more hydrated after just one (1) application. Representing HydraSource range is Deanna Ibrahim of the reality TV show SupermodelMe (season 3), a model who has graced many catwalks and fashion runways. The SMOOTHPROOF range was inspired by the resistant properties of the Camellia flower. Each camellia flower lives over 100 years, despite the monsoon, rainy seasons. The secret beneath is due to uninterrupted lipid production that insulates and smoothest each petal sealing humidity out. Hence, with Smoothproof, you can have UP TO 72 hours perfectly smooth hair. 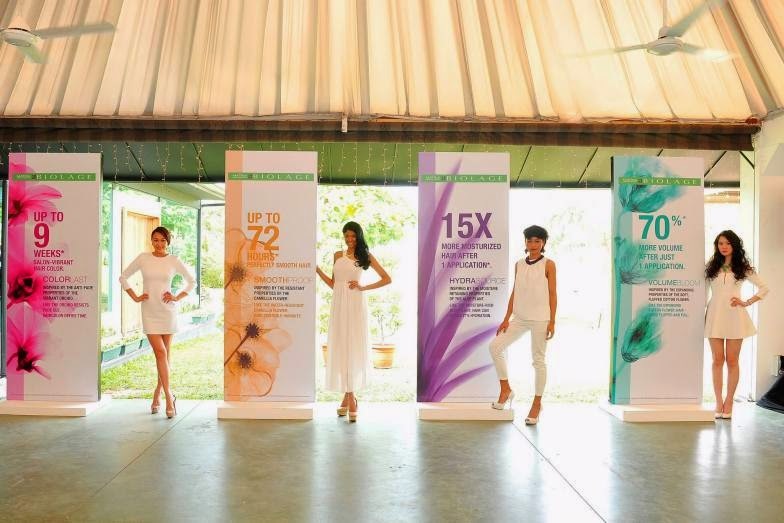 Representing the SmoothProof range is Malaysia’s own international model Thanuja Ananthan who is also Miss Malaysia World 2009/2010. The new franchise for fine limp hair, VOLUMEBLOOM, inspired by the expanding properties of the soft, fluffed cotton flower. It gives limp, lifeless hair voluminous body that lasts, with state of art formulas inspired by nature that mimic the expansive properties of the cotton flower. Now, by increasing inter-fiber space, hair is plumped and expanded with long lasting bouncy volume. Hence, with VOLUMEBLOOM, you can have UP TO 70% more volume after one application. Representing VolumeBloom was none other than Malaysian actress Joanne Yew, Miss Astro Chinese International Pageant 2007, and the beautiful actress behind the current box office hit – “The Journey”. Guests at the event also visited the product booths with scent corners and product displays to better understand each of the BIOMATCH Botanical product ranges where each range’s key botanical was displayed in its original state. Guests even got to savour drinks themed across the botanicals while exploring the new ranges over delicious canapés.